While investigations into the company's TDI diesel-emissions cheating continue, the U.S. arm of Volkswagen recently tried to soothe customer feelings with a "goodwill" package. It included gift cards and free roadside assistance for owners of the 482,000 affected 2009 through 2015 2.0-liter diesel cars in the U.S. But those cars also include Audi A3 TDI models built during the 2009-2013 and 2015 model years. So now Audi is offering a similar package to its customers. Like the Volkswagen program, it offers TDI owners a $500 Visa gift card, a $500 card redeemable at their dealership, and three years of free roadside assistance. To enroll in the program, owners can visit AudiDieselInformation.com, and enter the car's vehicle identification number (VIN) to determine eligibility. 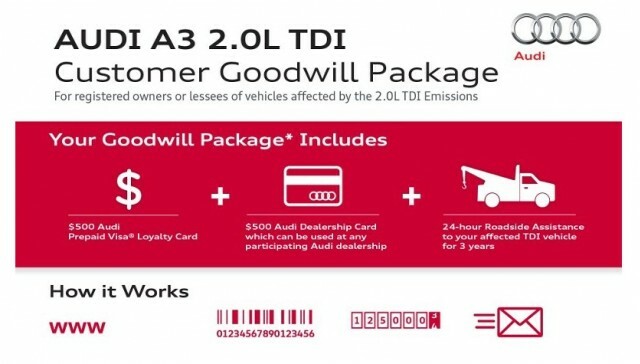 Audi announced that its goodwill program would launch November 13, but the website apparently went live only last week. 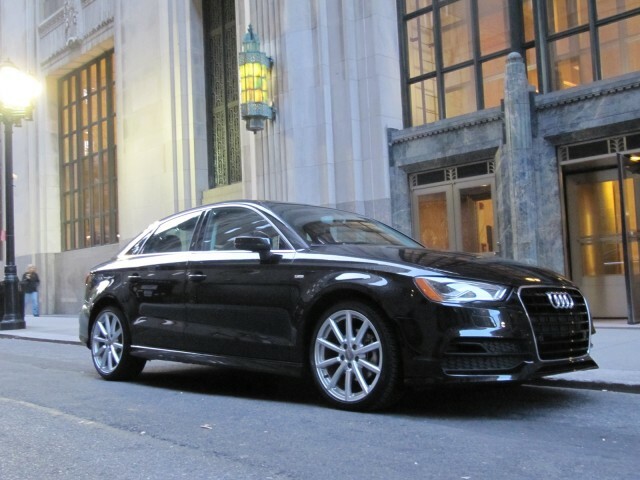 For now, the Audi program only applies to 2.0-liter A3 models, not the 3.0-liter V-6 A6, A7, A8, Q5, and Q7 models also found to be equipped with software that qualifies under EPA rules as a "defeat device." It's unclear whether owners of these vehicles--encompassing the 2009 through 2016 model years--will also be included in the goodwill program. More than eight weeks ago, the U.S. Environmental Protection Agency (EPA) held a news conference to announce that Volkswagen had admitted to installing "defeat device" software in almost half a million vehicles. The software detected the conditions of an emissions test, and kept engines operating within legal limits. But in real-world driving, these limits were ignored. Tests showed that certain 2.0-liter models emitted up to 35 times the legally-permitted amounts of nitrogen oxides. The EPA subsequently announced that models equipped with the 3.0-liter TDI V-6 also had unapproved software. Volkswagen initially denied this, but subsequently admitted to the EPA and the California Air Resources Board that these vehicles had three separate Auxiliary Emission Control Device (AECD) software routines, one of which qualifies as a "defeat device" under the agency's certification rules. That includes the Audi models listed above, as well as 2009-2016 Volkswagen Touareg TDI and 2014-2016 Porsche Cayenne Diesel SUVs. All models are currently subject to a stop-sale order at the relevant dealers for both new and used vehicles. Audi, Porsche, and VW continue to underscore to affected owners that their vehicles remain safe to drive. 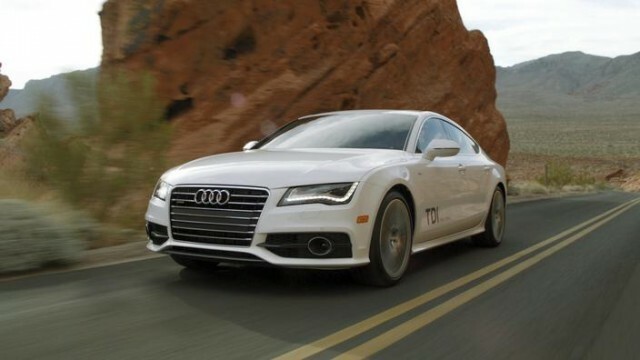 TDI V-6 cars will have their software updated and cars will be resubmitted for certification. If approved, all existing V-6 TDI cars will likely be recalled to have their software changed. Meanwhile, Volkswagen recently submitted a proposed fix for the 2.0-liter four-cylinder TDI models to U.S. regulatory agencies. However, details were not released to the public, and no timetable has been set for completion of recall work on the affected cars.